Entertainer Rolf Harris is due to be sentenced for assaulting four girls in the 1960s, 70s and 80s. Rolf Harris, 84, was found guilty of all the 12 charges he faced after an eight-week trial at London’s Southwark Crown Court. One of the girls was a childhood friend of his daughter, whom he repeatedly assaulted from when she was 13. The judge had previously warned Rolf Harris that he was facing jail. The trial, which ended on Monday, had heard how Rolf Harris used his “status and position” to abuse his victims and that the former television presenter had a dark side to his personality. The central allegation concerned Rolf Harris’s daughter’s friend, whom the court heard he had molested from the age of 13 until she was 19. An Australian woman Tonya Lee – who has waived her legal right to anonymity – said he had abused her three times on one day while she was on a theatre group trip to the UK at the age of 15. Six women also told the court about assaults Rolf Harris had carried out against them in Australia, New Zealand and Malta. He could not be prosecuted over these incidents in a British court but the evidence was introduced as an added illustration of his behavior. 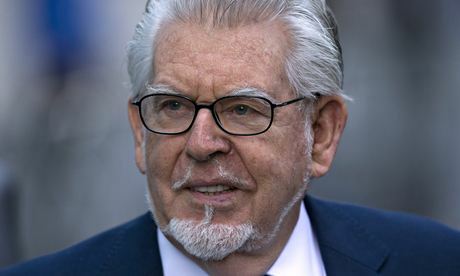 Rolf Harris, from Bray, Berkshire, was first questioned in November 2012 in Scotland Yard’s Operation Yewtree investigation set up in the wake of revelations about abuse committed by BBC presenter Jimmy Savile. Lawyers for Rolf Harris wrote to media organizations at the time warning them against naming the entertainer and threatening libel action. When Rolf Harris was arrested again in March 2013 the police did not name him and the entertainer was not identified in the mainstream media until a few weeks later.